This must be one of my favorite kind of miso soup to order when we dine out at Japanese restaurants. It is guilt free, absolutely heart-warming and definitely slurp worthy to have at the comfort of your home. 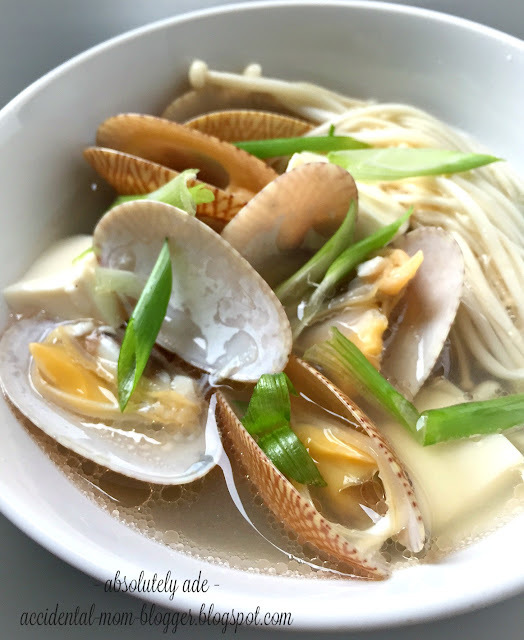 I have adapted this recipe from Nami of Just One Cookbook, who shares an extensive recipe for anything Japanese. She's definitely my favorite blogger for easy and trusted Japanese recipes. If you have not already tried preparing baked tonkatsu, you should definitely check out this oil-free recipe! - Bring the 2 cups of water in a pot to a boil before putting in the clams. Then lower temperature. - When scum appears, use a ladle to skim it off. Add the chicken stock. - Once the clams are open, take them out and place them in a bowl. Discard those that are unopened. - Add the enoki mushrooms into the pot and let it cook for a minute or so. Turn off heat. - Dissolve the miso paste into the pot in portions. This is so that you can adjust the amount of miso to put into the soup, that may differ in level of saltiness. Do add the portion of miso paste according to your taste. - When you are ready to serve the soup, heat the pot but do not boil miso soup as it will lose it's flavor. 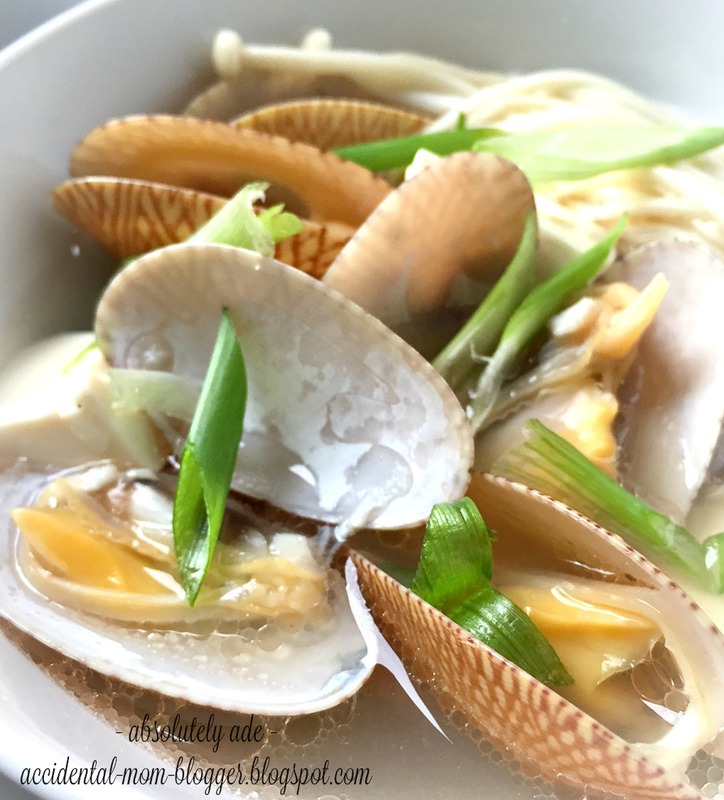 - Place the clams separately in bowls, with portions of tofu and enoki mushrooms. Scoop the soup into bowl and top it off with spring onions.